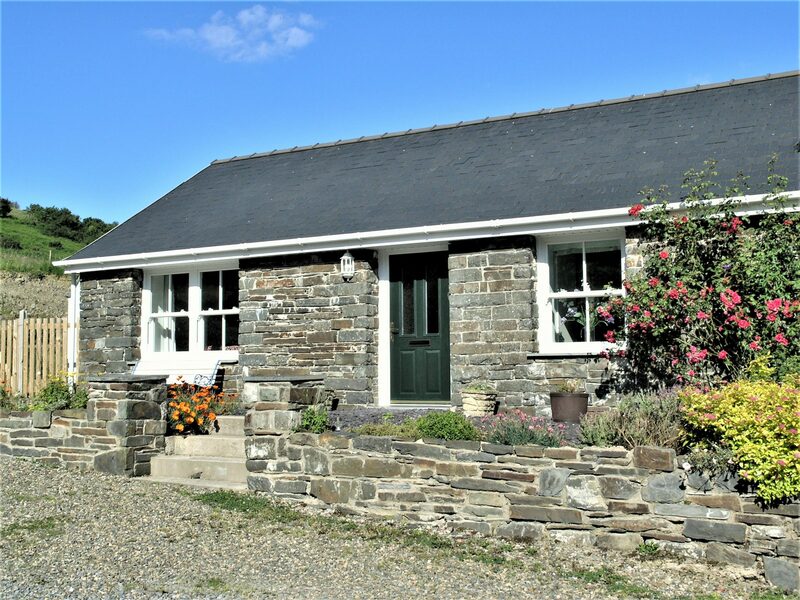 The newly renovated stone built charming holiday cottage which sleeps 2-3 is stylish, spacious and comfortable. 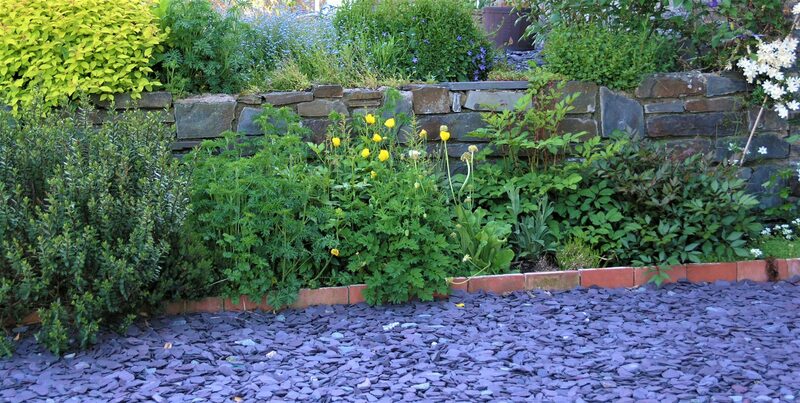 Beautiful countryside views can be enjoyed from the large south facing patio. Lounge/Dining/kitchen: bright and spacious, French doors opening onto the delightful rear patio with outdoor furniture to enjoy the sunny aspect and tranquillity. 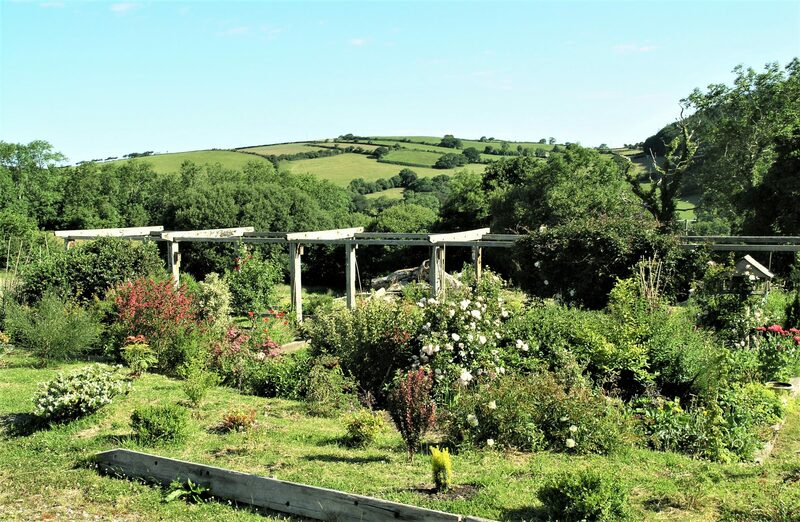 Stroll along its own garden path to the meadow beyond, and views of the countryside, distant Cambrian Mountains and a glimpse of Cardigan Bay. The sofa-bed (used for 3rd person) with coffee table and Freeview flat screen TV and DVD player provide home comforts. A circular dining table at the kitchen area and an oak bookcase holds a variety of books, brochures, magazines and DVDs. 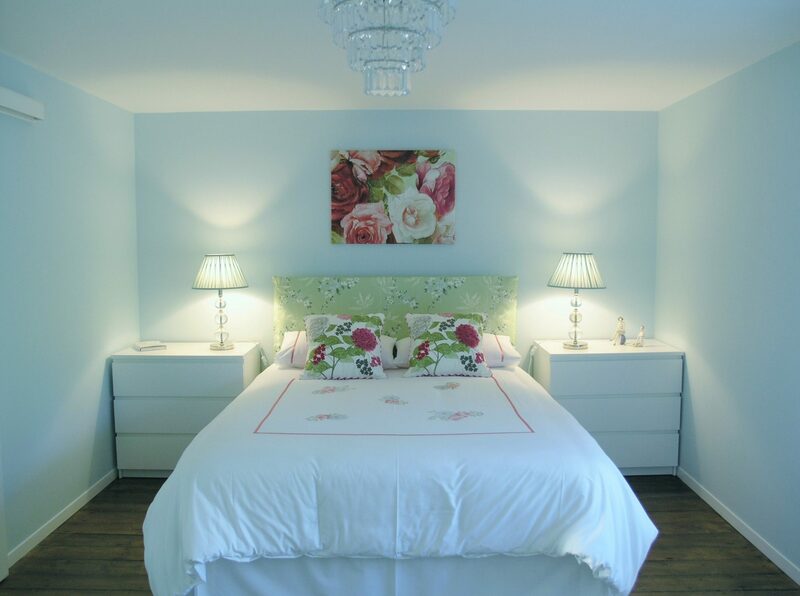 Romantic Bedroom: spacious with modern décor and lighting. Ample wardrobe and dressing table space and a hairdryer is provided. Shower Room: spacious and bright with modern tiled walls and floor. Large shower cubicle, WC and wash basin. 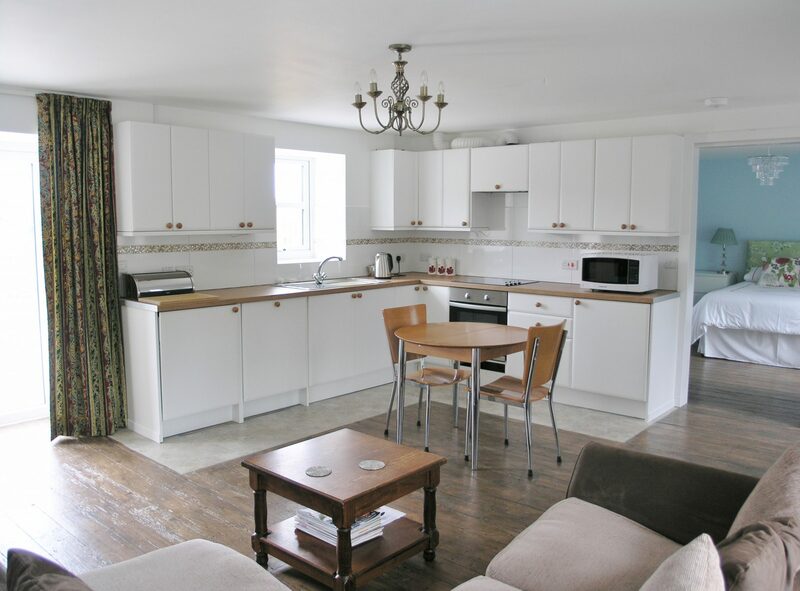 Kitchen: fully fitted with cooker/grill, 4 ring hob, fridge/freezer, microwave, kettle, dishwasher, washing/dryer machine, iron and ironing board, crockery and utensils. There is also an external clothes line. South of Aberystwyth, off the A487, take the A4120 (towards Devil’s Bridge for approximately 5 metres only), then immediately cross over right onto the B4340 road (heading towards Llanafan). Continue straight on for approximately 1.3 miles (passing the sign and lane for Nanteos mansion on the left, a modern farm set in on the right with a stone entrance (half way down the long stretch)) and as the strait rises a renovated chapel and immediately on the right where you see two sea-view signs at the entrance – Doleos Holiday Cottages. You turn right up the farm lane through the yard to the top and Celyn Cottage is the last building on the right with parking directly by it. 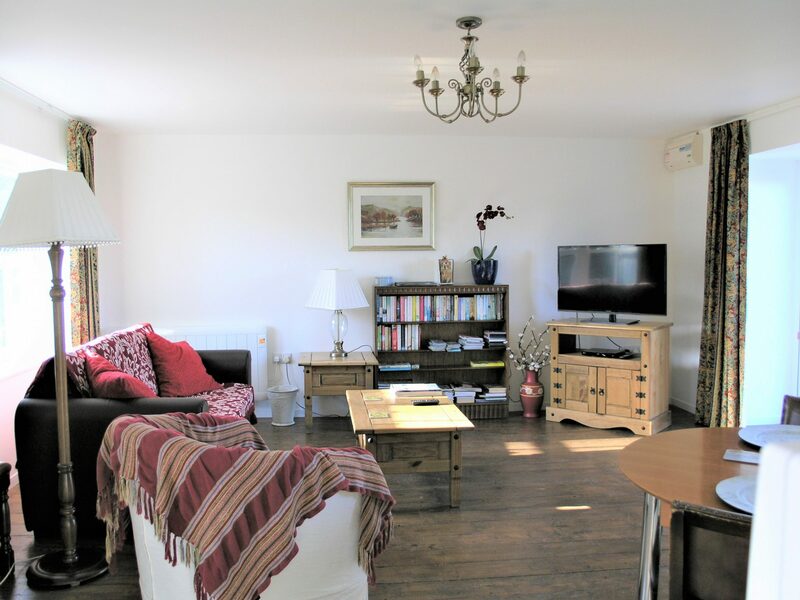 © Copyright 2019 Doleos Holiday Cottages. All Rights Reserved.